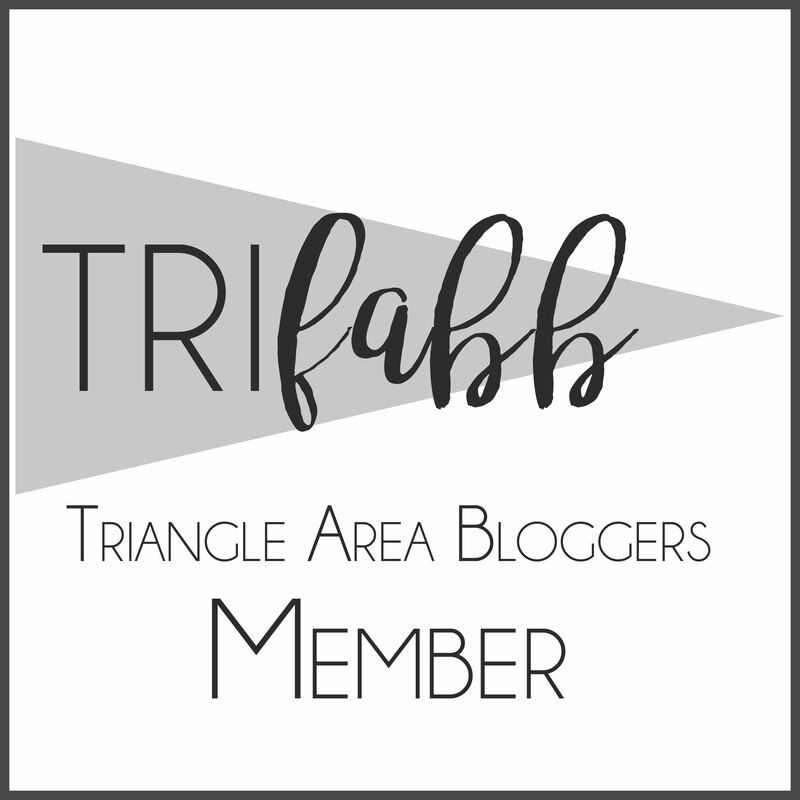 This post has been sponsored by True Made Foods in conjunction with NC Blogger Network. I received compensation in exchange for my honest opinion and review. Since July, I've accepted very few campaigns or really have not done much writing in general on the HinesSightBlog. The why is simple. My husband told me that my priority was to get us moved to our new house, and get our other house ready to sale. We are living in our new house and I wish I could say that my home is picture perfect now, but that would be the biggest lie ever. I'm writing this post surrounded by boxes in my office, and at night, I watch TV on lawn chairs because we decided to purchase brand new living room furniture that may not even arrive til after the new year. We are in transition, to say the least. I am cooking, though, and I have a new recipe that incorporates some sauces with North Carolina ties. I still have lots to do around this house, but I accepted this campaign because the company believes in providing healthier choices for consumers. 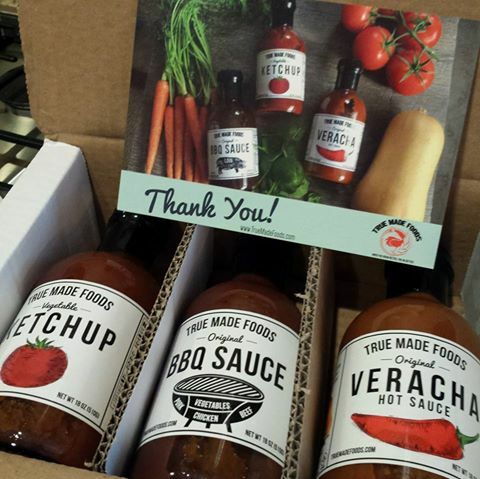 The day that my True Made Foods sauces arrived to try, it was cold enough here to enjoy chili. True Made Foods, a new D.C. start-up company, is making American food healthy, turning empty calorie foods into nutrient dense foods filled with fresh veggies. Let me tell you now that their sauces are finger-licking good. I loved each one and then I used all three when I cleaned out my pantry to make a BBQ chicken chili. This company is reproducing America's favorite sauces - Ketchup, BBQ Sauce and Hot Sauce - but what is unique and appealing to people like me who want less sugar and artificial, is they are adding spinach, carrots and butternut squash to naturally sweeten these sauces which cut the added sugar in half. The carrots and butternut squash are from an Eastern North Carolina farm. The Ketchup tastes like the ketchup you expect but has half the sugar of top leading brands.. and tons of nutrition from the vegetables. 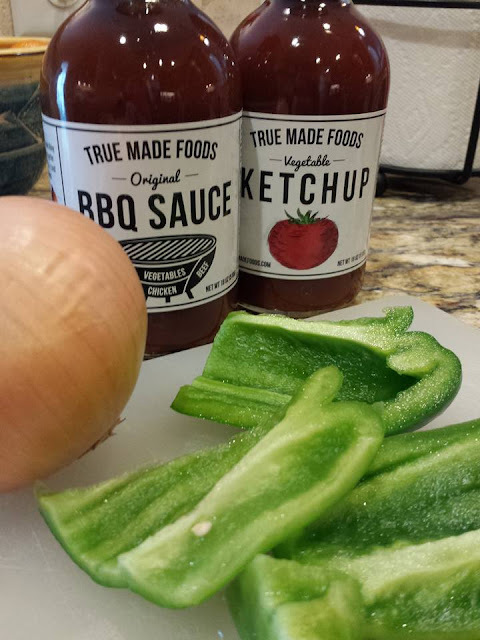 True Made's Veracha is a 100% vegetable Sriracha - made from tomatoes, carrots, butternut squash, jalapenos, spinach and cayenne, it has all the flavor and no sugar. This stuff is fantastic. I've put it on everything lately. I'm addicted. I love these sauces and I love that I'm getting these vegetables even more. I don't even think I was supposed to review the BBQ sauce, but I love BBQ sauce and it's so hard to find a sauce without high fructose corn syrup on the market. True Made BBQ is delicious. It was the basis for my chili, but I look forward to baking BBQ chicken in the oven with it, too. These new healthier sauces can be found at Lowes Foods, Super Target and Whole Foods. 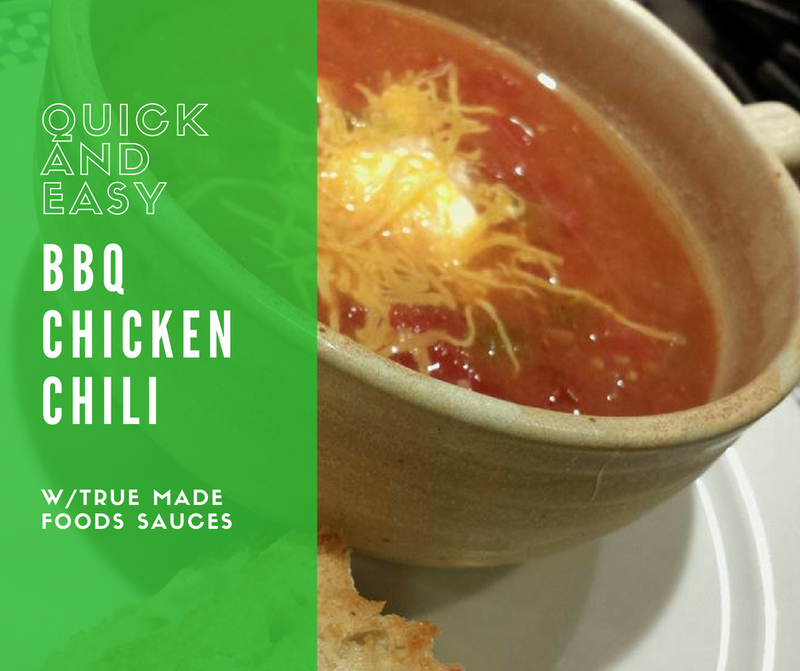 I had never made a BBQ chicken chili before, and I found many recipes. I adapted several to fit what I had in the pantry so this is a Hines original without the Heinz ketchup that you know. Instead, this chili is certainly high fructose corn syrup free. With Thanksgiving approaching, you could use leftover turkey in place of chicken. I used chicken breasts that I had frozen in the freezer. You can use any beans you want. I chose white kidney beans and pinto beans because it was already in the pantry in addition to a green pepper, diced tomatoes, and an onion. If you are using leftover turkey or already cooked chicken, then you can reduce cooking time. I did my chili in the crock pot for eight hours on low. Enjoy. The secret to the goodness in this recipe is definitely the sauce. I highly recommend adding them to your pantry. Serve with sour cream and cheddar cheese on top. I like to add a little True Mades Veracha sauce when serving. You could even add avocado. I now eat the Veracha sauce on plain avocados. So good. These new sauces have spiced up my house for the better. Learn more about True Made Foods and its sauces. 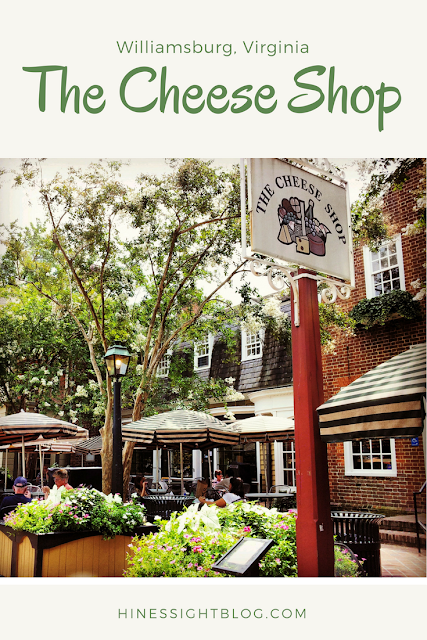 The Cheese Shop is an adorable and delectable eatery in the Merchant's Square area of Colonial Williamsburg. This locally-owned restaurant is outside the main entrance to the historic area, which requires an admission ticket. 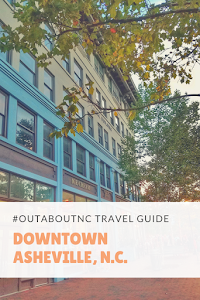 Unlike some of the Williamsburg taverns, you can dine here without an admission ticket. 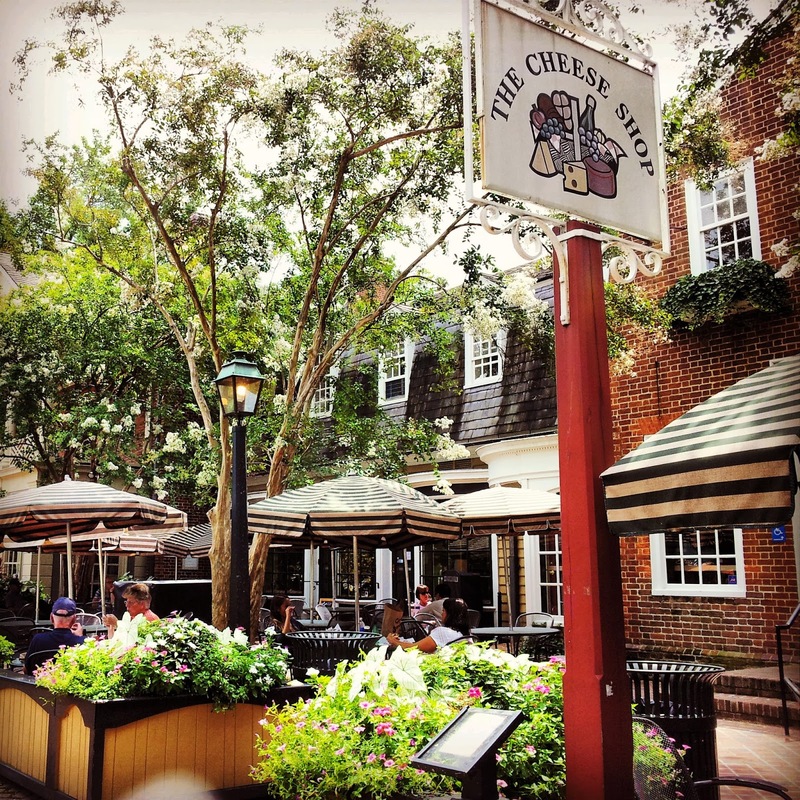 The Cheese Shop has been a staple in Colonial Williamsburg for over 40 years. The Cheese Shop made an impression on me, and I will return. Next time, I want to spend more time in the wine area. 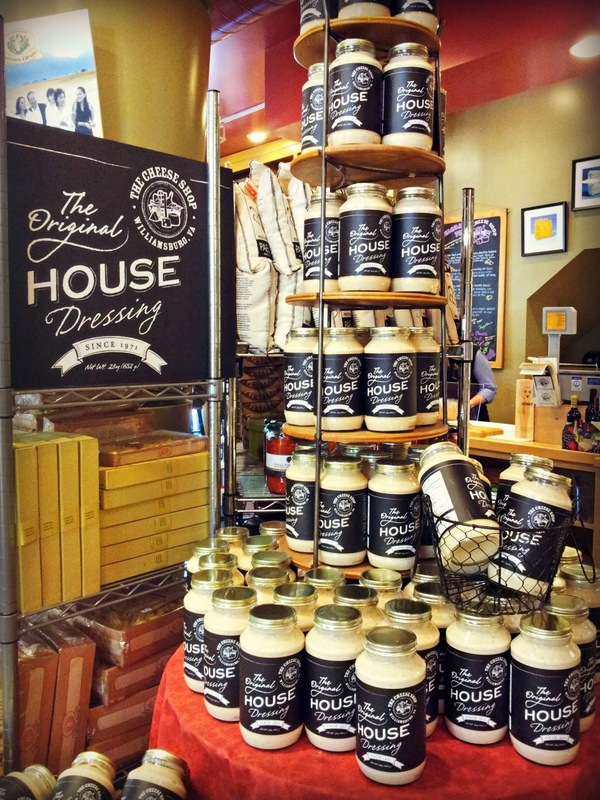 The Cheese Shop is wine, beer, cheese, deli, gourmet foodie store, all in one. When it's busy, and it certainly was on the day we visited, it can be a little confusing on what to do because people are waiting everywhere for their food and space is limited. 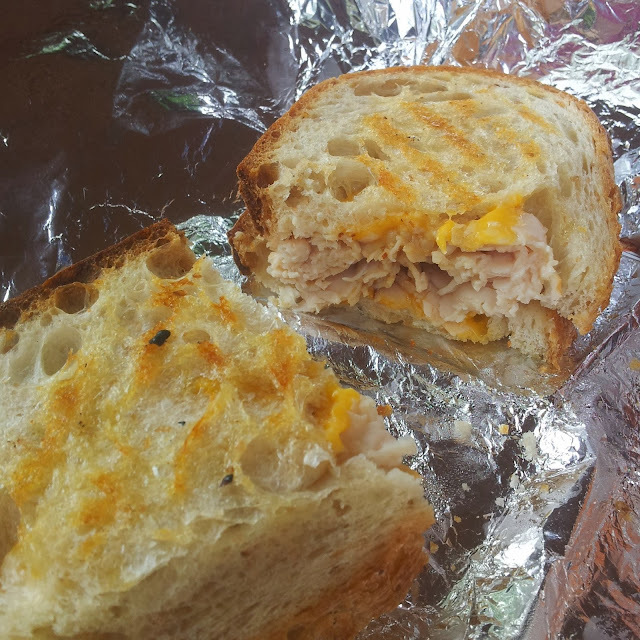 Since it resembles a market, you order sandwiches at the counter. You grab chips from the chip aisle and you grab a drink down the drink aisle, and you don't pay until you leave the store. Bread is made fresh daily. Cheeses and meats are of the highest qualities, and truthfully, the prices are extremely reasonable. It's casual. It's fresh. It's good. 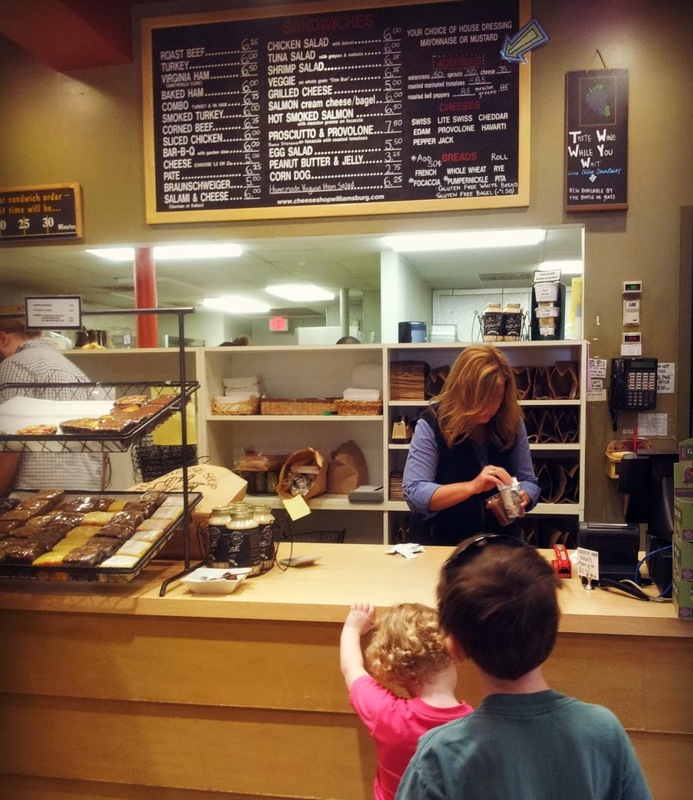 Depending on how busy it is, your wait may be long. It took us about 25 minutes to get our sandwiches, and thank goodness, we arrived before 100 Boy Scouts walked in the door. Your lunch is bagged, and then you head outside to a table on Duke of Gloucester Street. Seating is at a premium. The Cheese Shop is known for its homemade house dressing. When in Williamsburg, give this local restaurant a try. 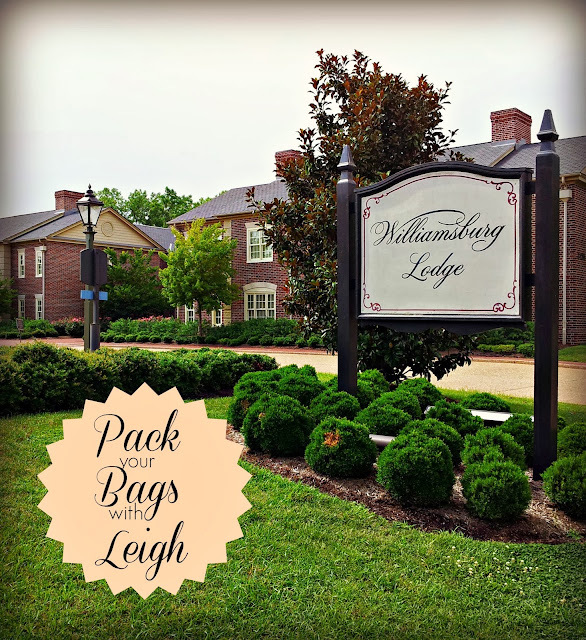 While in Colonial Williamsburg, my family stayed at the Williamsburg Lodge, and it is an official HinesSight Blog recommended property. You may read about the hotel in my "Pack Your Bags" feature. Where do you begin after taking two months off from this blog? That has never happened before. Unfortunately, I didn't come back today with a snazzy new design or rebrand. I'm just coming back to this writing space because I needed to get back to the HinesSightBlog. 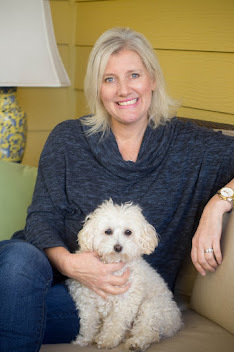 Life got in the way with buying a house, selling a house, moving, and serving as PTA President. You know the drill. You have busy lifestyles, too. It's not that I didn't have anything to say. It's just that I didn't have time to write it down. And my new house. Well, it's just a mess right now. But, that's OK. I'm back now and I've got some stories to tell. Oh, so many stories and new ideas. 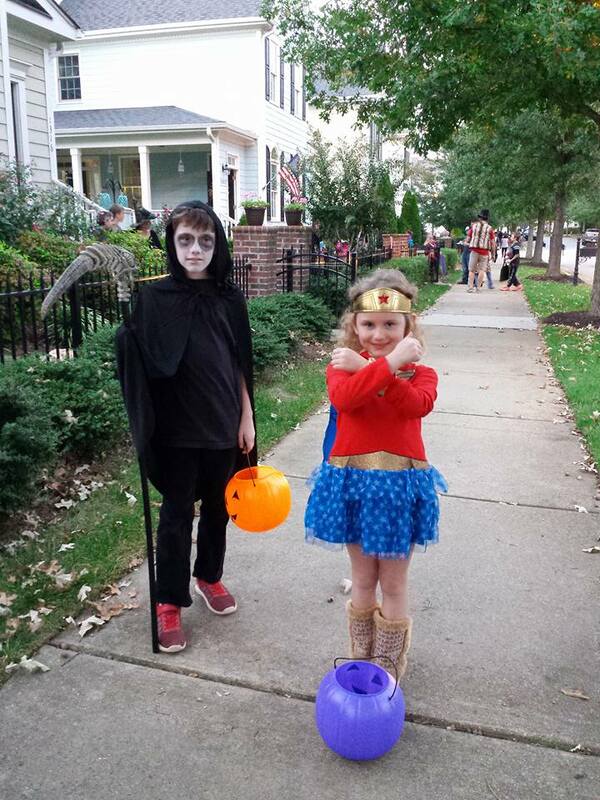 I'll be quick today and say that my kids are growing up. 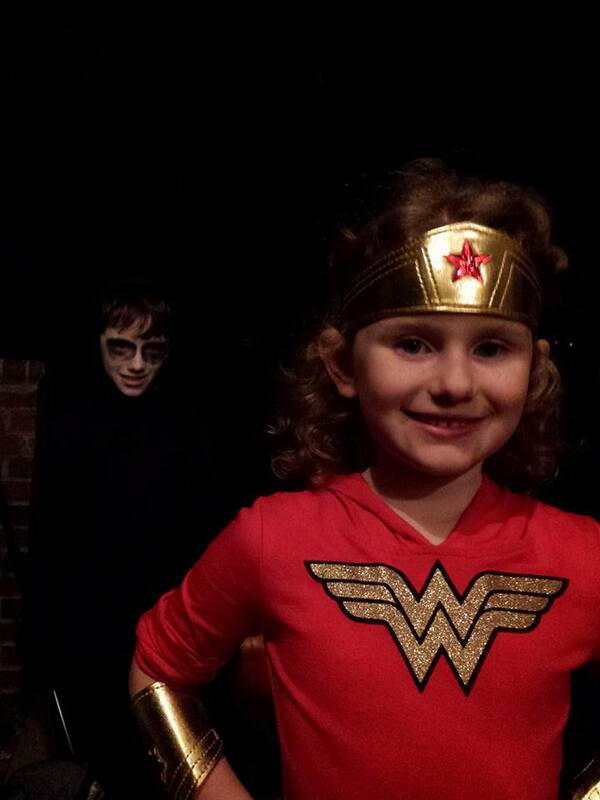 We had to get a creepy costume this year and he took to his role quite well. No more cuteness from him, I guess. And Wonder Woman? Well, she knows how to rock some Michael Kors gold boots and strike a pose. In our new house, we gave out over 500 pieces of candy. It was quite a night. During the past two months, I did write some freelance pieces for Skimbaco Lifestyle. Check out the fall edition of Autumn Spice.